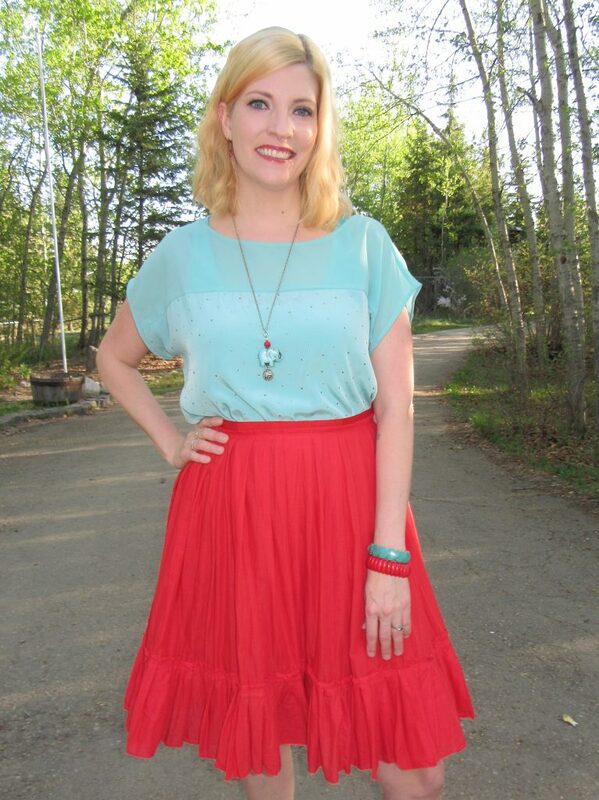 Turquoise and red are #MFEO. 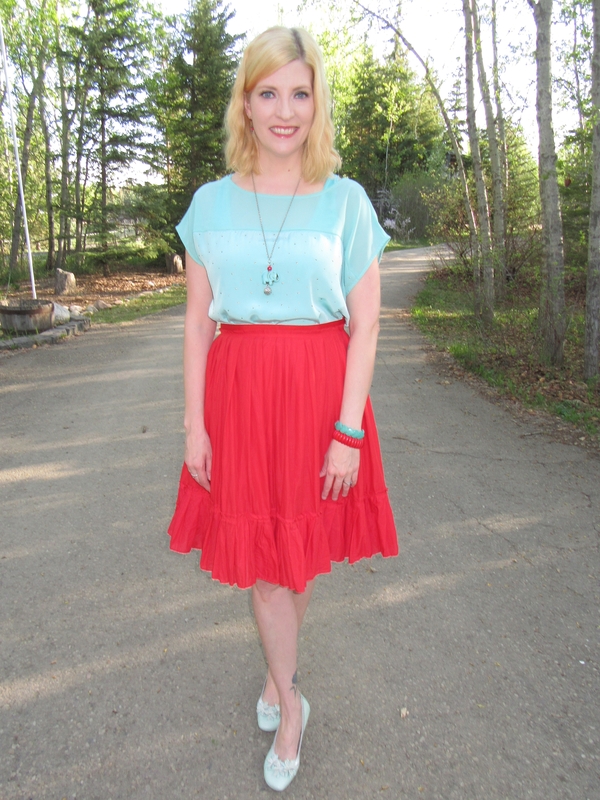 Thrifted Zara skirt $11, RW top $8, Hispanitas shoes$15, bracelets from a fundraiser, necklace by She Does Create. 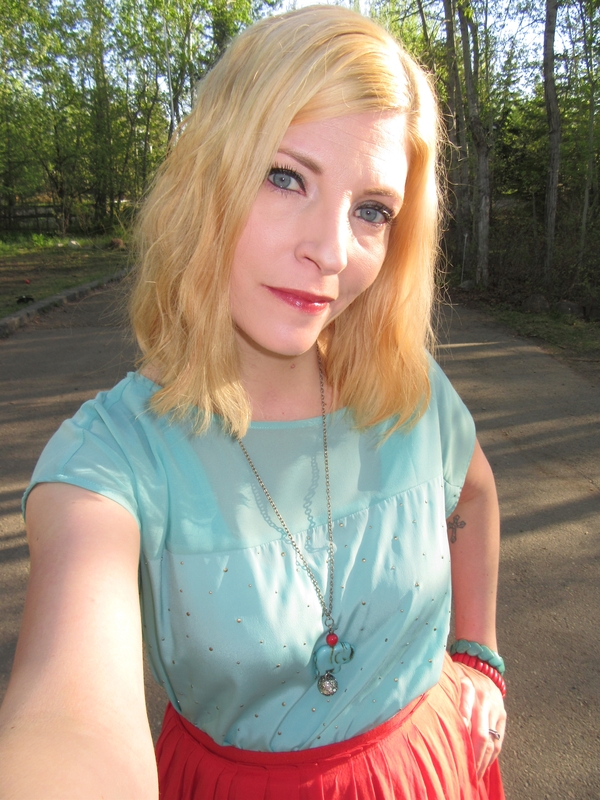 I have my friend Karlynn to thank for this gorgeous skirt and top! She went and wrote a cookbook and the cover is AMAZING and I just *had* to thrift something to match it. It’s not my fault. 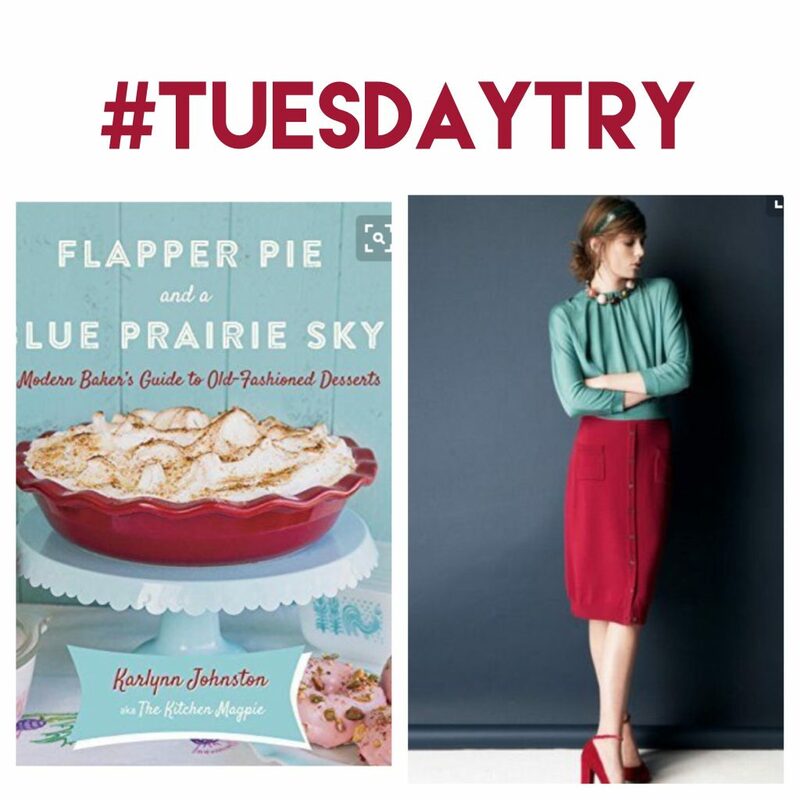 Now you want a slice of pie with your turquoise and red, right? Me too. 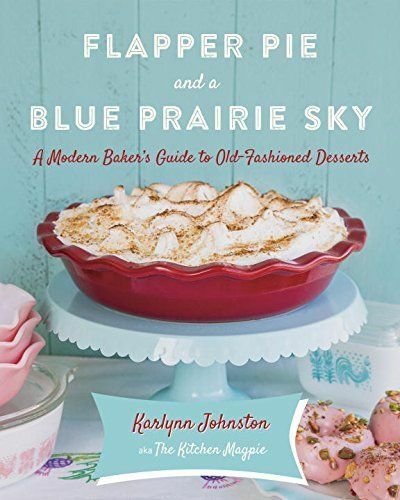 Karlynn is otherwise known as The Kitchen Magpie and besides posting fantastic cocktail recipes (I do believe the Sortilege Mojito Revolution started with me and her in my kitchen), she is famous for her modern take on vintage desserts… So I’m like her thrifted fashion counterpart, get it?! 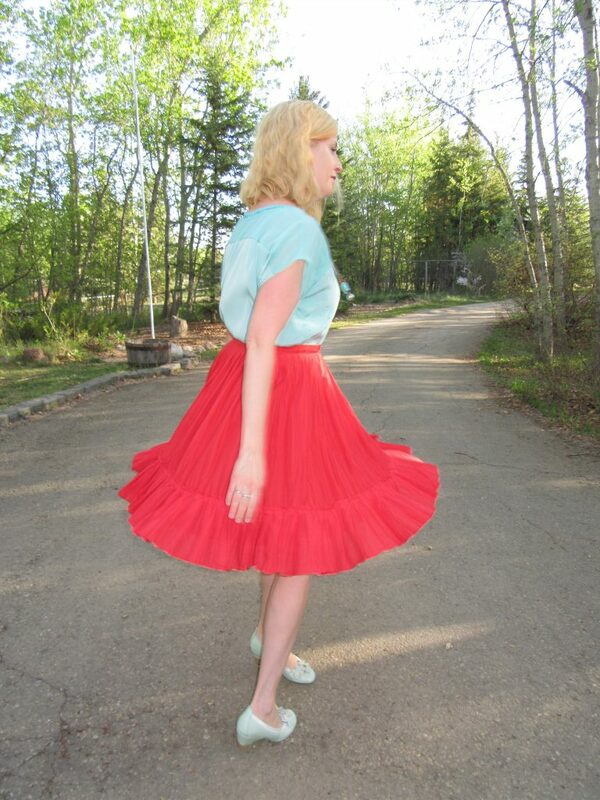 Karlynn takes her Pyrex for a whirl; I take my skirt for a twirl. 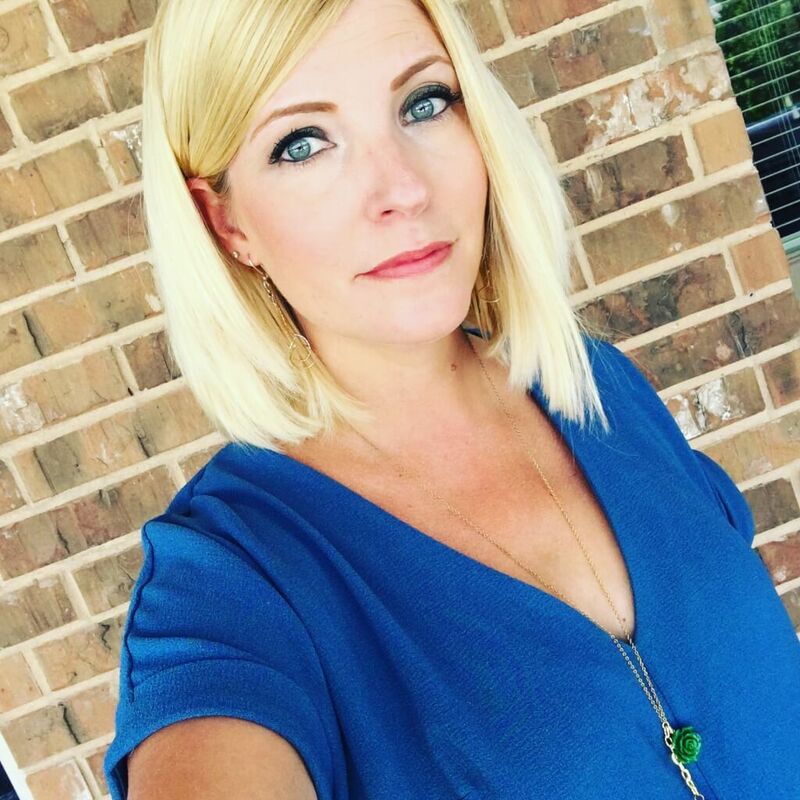 **Twirling is over-rated when you’re 42. Extreme case of MMS (Matchy Matchy Syndrome) because I JUST COULDN’T HELP MYSELF! You can go bold with your turquoise and red like I did, or just do subtle touches like some of the Pinspiration – no matter how you pair them, turquoise and red always look good together. I might not have pie – YET – but I do have a great outfit!